It’s getting into the 20°F’s here, so it’s time for warm flannel snowflake pajamas! I bought 1/4 yard of this fabric at Jo-Ann. 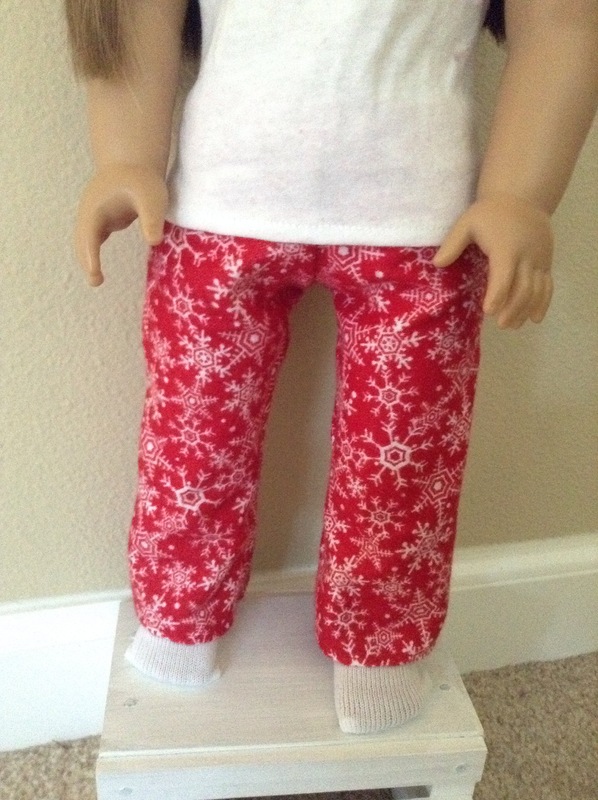 I had wanted to make pajama pants for my AG doll, and a nightgown for my Kidz doll out of the same fabric. Unfortunately, while cutting the pattern pieces I realized I wouldn’t have enough fabric to do this. The nightgown ended up being a shirt instead, but I had some white leggings on hand, so it turned out great anyway! 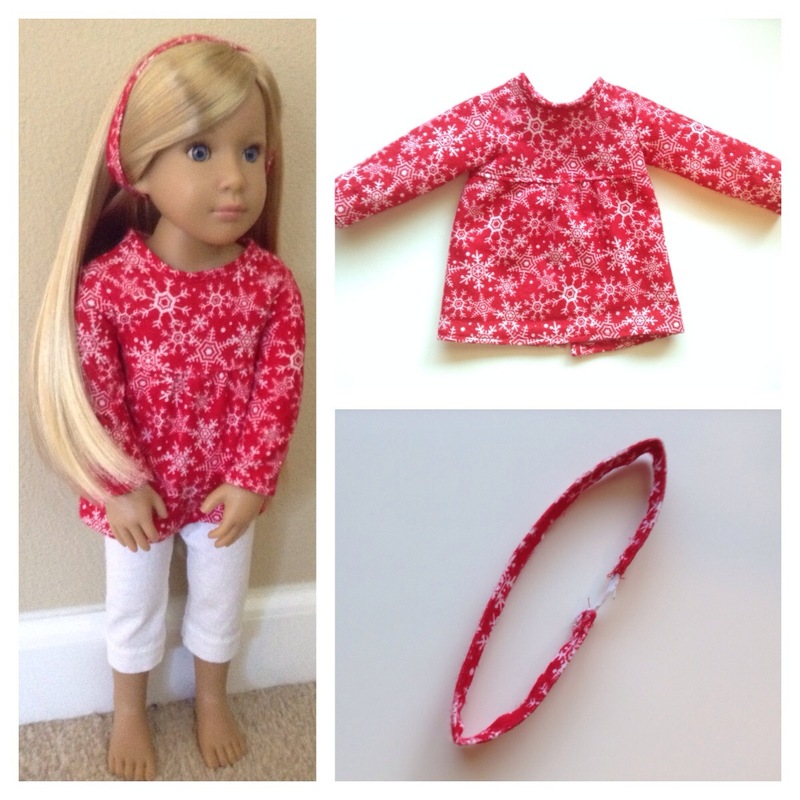 For the Kidz outfit, I made a flannel long-sleeve top, white knit leggings, and a skinny headband out of the fabrics scraps. The top I based with this pattern. I cut it about 2 1/2 inches shorter, which made it go until about 3/4 of an inch below the armpit. There, I gathered a rectangle and attached it to the upper top. I top stitched this, because I added top stitched hong kong finish to the sleeves and neck, mostly to lengthen the edges a little. 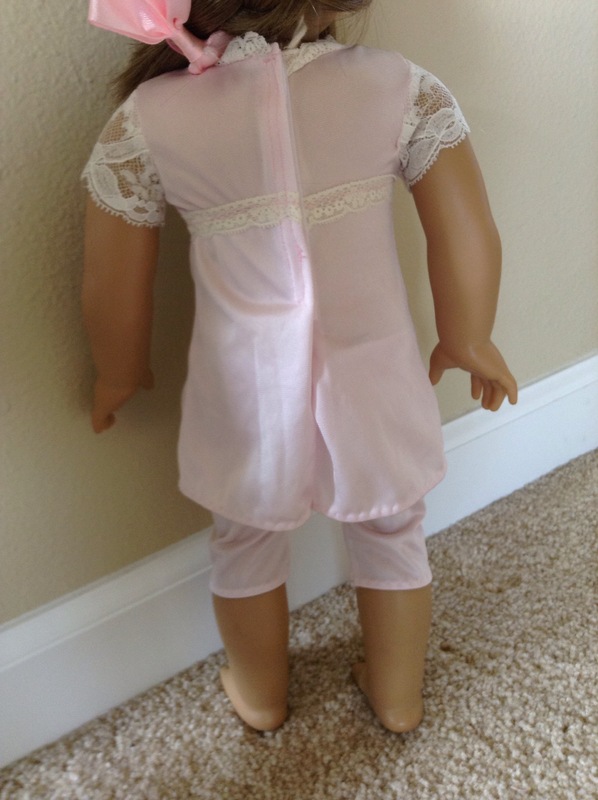 The jammie top attaches in the back with 2 snaps. I have been working on improving my skills and this top has all finished edges except for the sleeve and neck hong kong has one raw edge each. The headband was very simple, I didn’t measure or anything for it. I took a scrap and folded over the edges and stitched on each side, and then added a little elastic. 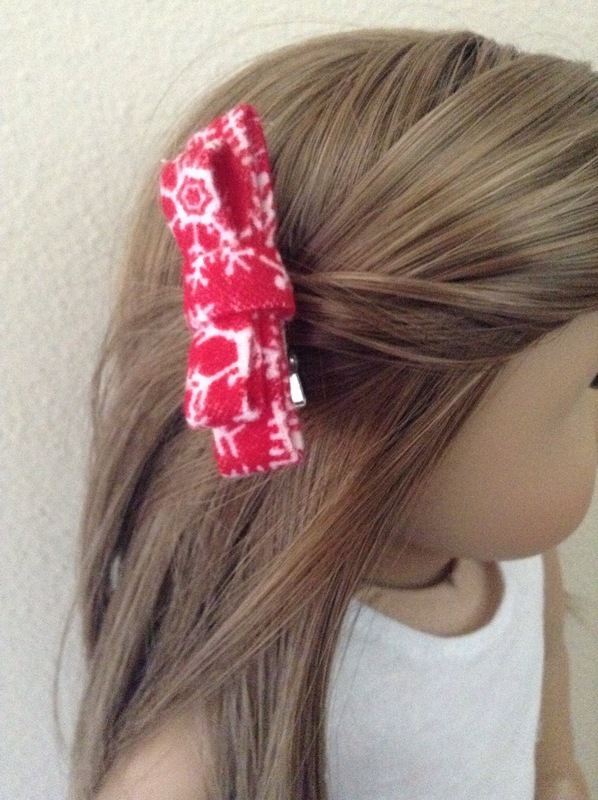 I don’t like headbands for my dolls to be super tight, so I made this one loose. Looser is better than tighter, I think, because it goes on and off easily, and doesn’t crease the hair. 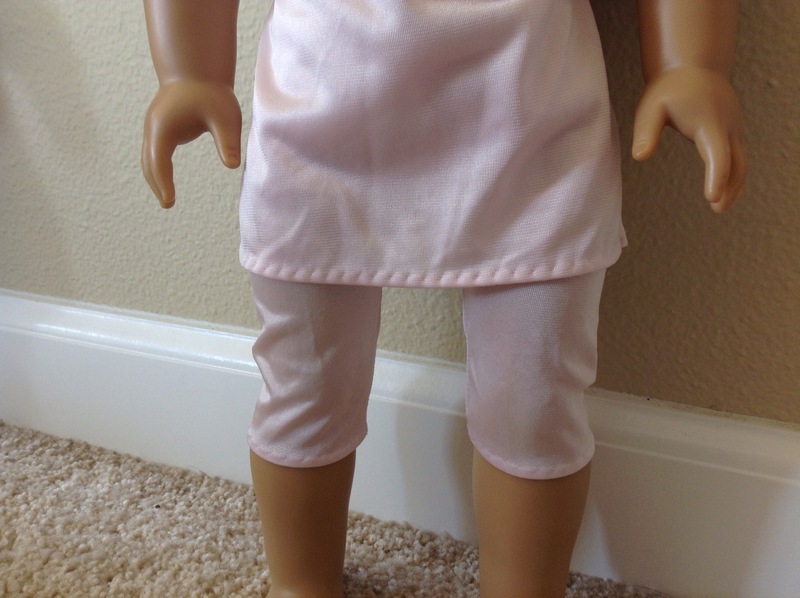 For the American Girl Doll pajama outfit, I used a plain white tank top that I had on hand. The tank top was made from this pattern. The little bow is made from extra fabric scraps. I hot glued it, and then hot glued it to an alligator clip. This bow I learned to make here. It’s down the page a bit. The pants are from this pattern bundle, which is $5.99. I got it for free on Freebie Friday! If you haven’t checked out Pixie Faire’s Freebie Friday, you definitely should. Every Friday, a vote takes place to determine which of four chosen patterns will be available to download for free. Today is Friday! Go to Pixie Faire and get the free pattern for today! Even if the pattern isn’t something I interested in at the moment, I always download it. 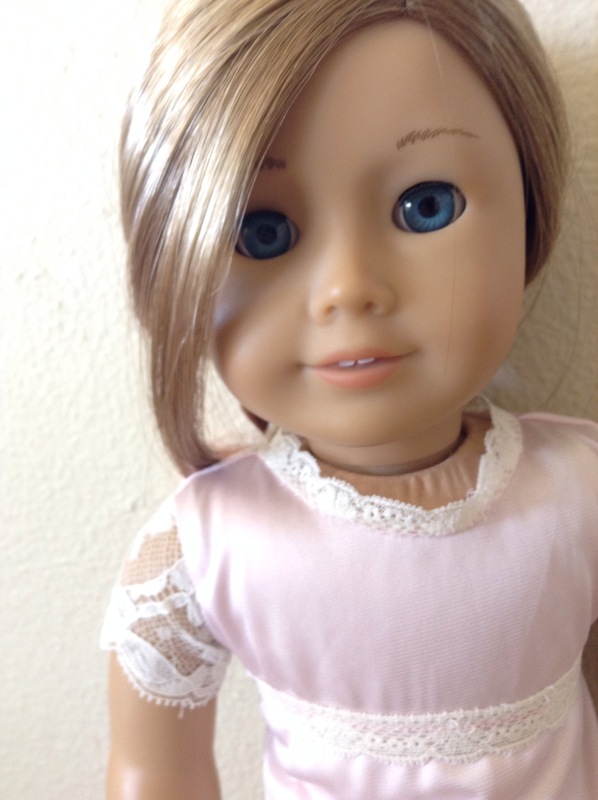 I never know what I may want to sew in the future! Which do you like better, the Kidz or AG pajama outfit?